Burlington Telecom has gifted some critical equipment for major events and competitions to the Champlain College Esports club. 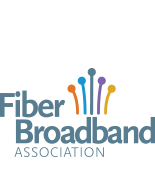 NextLightTM, the community-owned fiber-optic network ISP from Longmont Power & Communications, has selected Alianza for its next-generation VoIP solution. Download the PDF and add you company logo to distribute in your market.